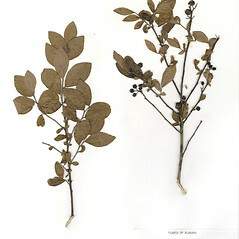 leaf blades not darkening in drying, glabrous or sparsely pubescent abaxially with white to gray-white hairs, berry blue to dark blue, glaucous, and flowers coetaneous (vs. V. fuscatum, with leaf blades darkening in drying, moderately to densely pubescent abaxially with brown-gray to brown hairs, berry black, not glaucous, and flowers precocious). 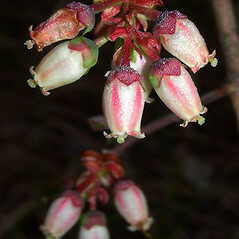 Vaccinium corymbosum L. var. 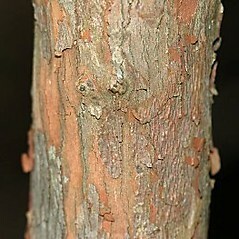 fuscatum (Ait.) Hook. 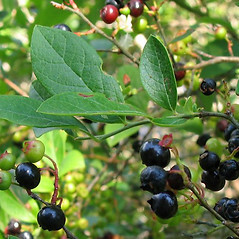 black highbush blueberry. 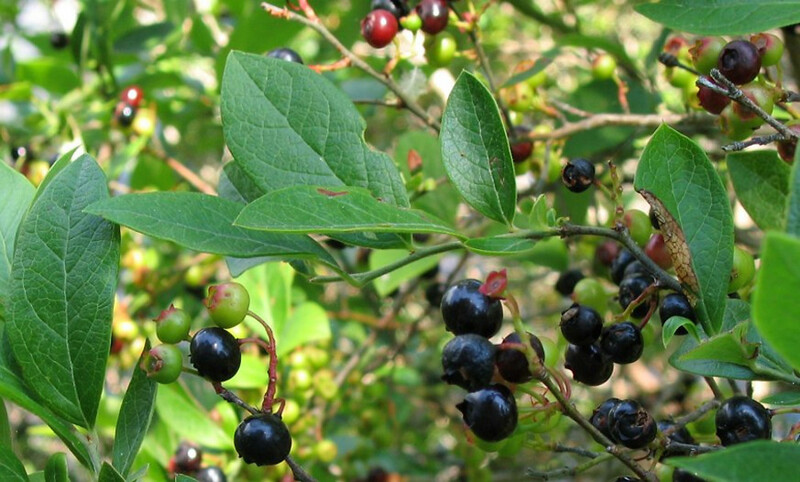 Cyanococcus fuscatus (Ait.) 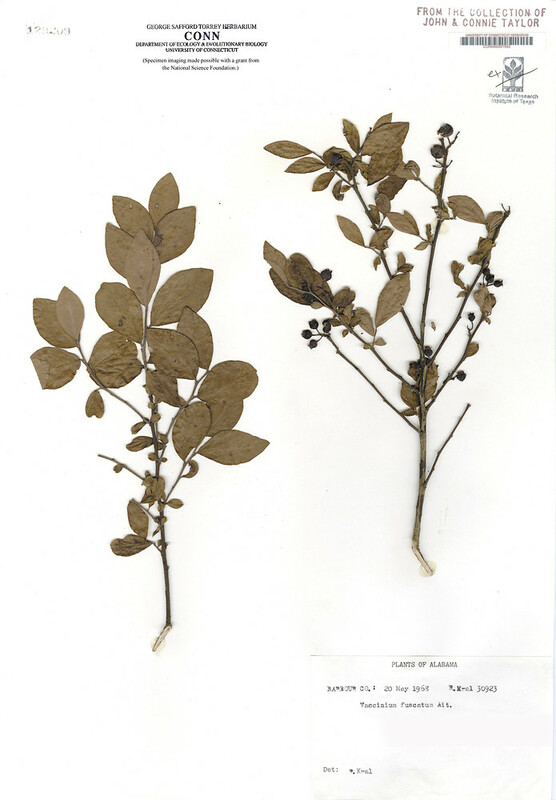 Small; Vaccinium atrococcum (Gray) Heller; V. corymbosum L. var. 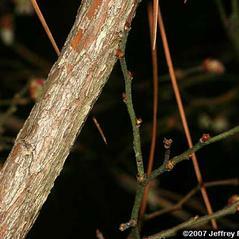 atrococcum Gray; V. corymbosum L. var. 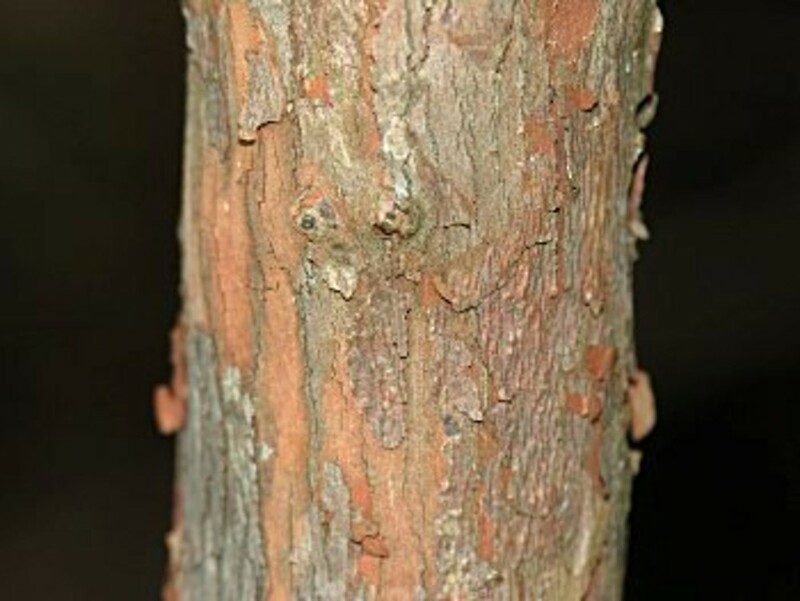 fuscatum (Ait.) Hook. • CT, MA, ME, NH, RI, VT. Swamps, fens, bogs, shorelines. 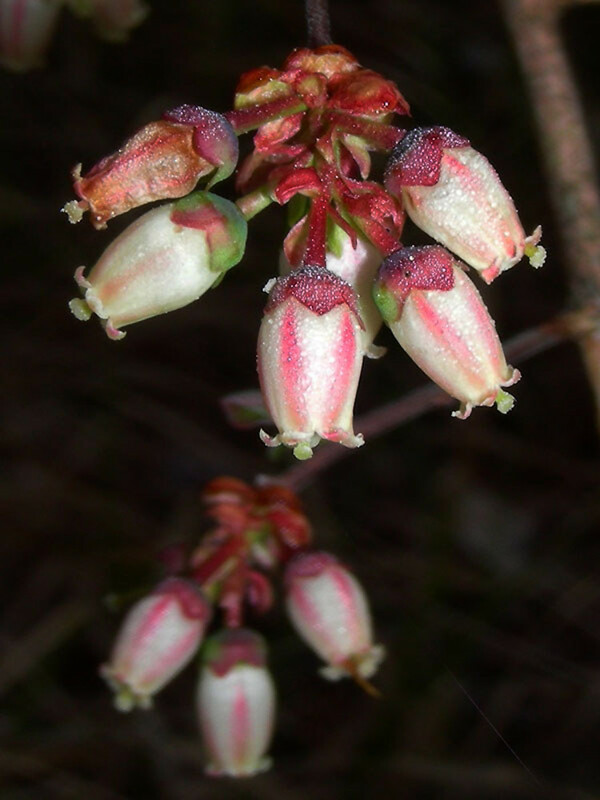 Flowering 7–10 days earlier than other highbush blueberries ( Vaccinium caesariense, V. corymbosum) when found growing in close proximity. 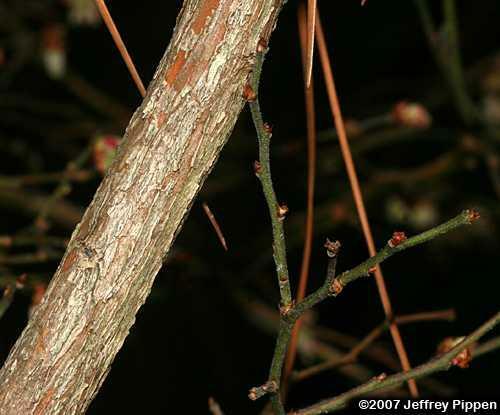 This species has entire leaf blades.